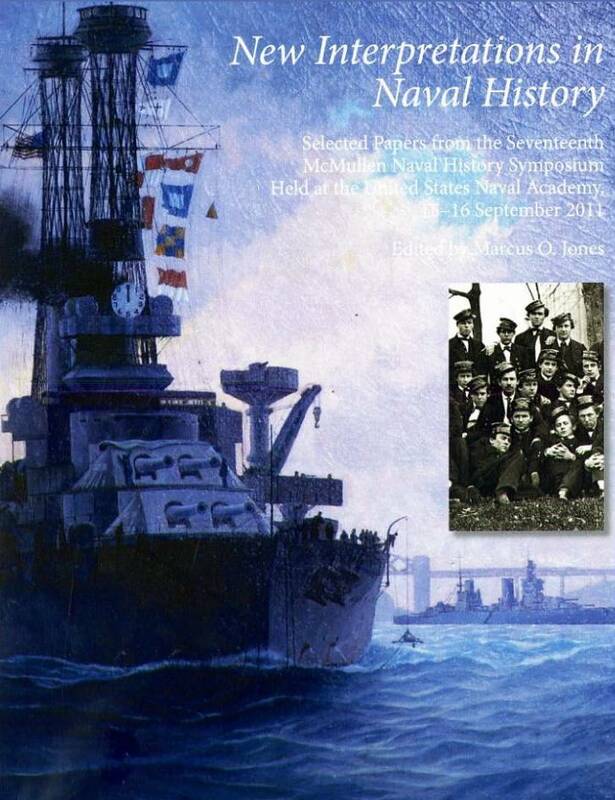 Edited by Lori Lyn Bogle and James C. Rentfrow, Naval War College, (2018). Reviewed by Stephen D. Regan, Ed.D. This collection of papers is a wonderful surprise. Usually scholarly historical symposium papers are pedantic, boring, poorly written treatises about obscure and arcane topics noteworthy to virtually no one. These papers are the direct opposite, compliments of keen selection by the editors. Most books of this type are found in a reference section in a library; however, this particular edition deserves to be on the everyday reader’s bookshelf. Each author is a prominent historian, scholar, or professor. Each of them writes well. Two papers dealt with the nutrition and feeding of Colonial U.S. sailors versus their counterparts in the British Navy. Interestingly these provide ample evidence that the Americans were far more concerned about their crews than the English. Our sailors had better and more nutritious meals putting them in a better condition to fight. During the 1960 Presidential election a hot topic in the debates between Richard Nixon and John F. Kennedy was over the small islands of Quemoy and Matsu. Kennedy claimed that the pair, home to Chinese nationalists, was too far from Taiwan to be defensible and too insignificant. Nixon retorted that Kennedy was soft on Communism and lacked courage. The day after the election the two islands never made front-page news again. Maochun Miles Yu revives the topic and suggests that the Peoples Republic of China lacked the resources, the plans, and equipment to attack the islands or assault Taiwan. Peter Lorge compliments this paper by adding information showing that China never has truly developed an offensive naval strategy. China’s naval philosophy is strictly defensive. Nathan Packard, a professor at the Marine Corps University, exposes the horrific post-Viet Nam experience of the Corps. Always believing that boot camp could change any man into a fighting Marine, the Corps faced immense contradictions to their belief systems. Spiraling crime rates, divorce, drug usage, indiscipline, and misconduct were commonplace. 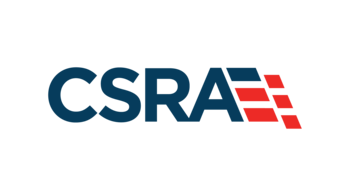 Almost half of the enlistees were high school dropouts and had below average scores on the Armed Services Vocational Aptitude Battery (ASVAB). Recruiters, under pressure, simply ignored past criminal records. Viet Nam, a changing society, and unrealistic belief systems by the Marines endangered them from being a viable military unit for a full decade. Packard’s paper is significant fodder for future perspectives on the Marine Corps. “From Pearl Harbor to Viet Nam” written by Zachary Matusheski, a post-graduate fellow at Ohio State University, offers a quick study into how America became involved in Viet Nam. From his election in 1952, Dwight Eisenhower was profoundly disturbed about the rise of Communism in Asia. The French demanded increasing assistance from the U.S. while the U.S. Army continually voiced counter opinions. While Matthew Ridgeway of the Army and CNO Robert Carney differed with the President, Eisenhower was convinced that Viet Nam was an element of the Cold War, and he believed that “nonnuclear means of deterrence would be necessary to keep the peace.” Providing planes and training specialists soon escalated after the smashing French defeat at Dien Bien Phu. Ike’s successor, John F. Kennedy agreed with the policy, as did his successor, Lyndon Johnson, and his successor Richard Nixon. Little by little, the U.S. became enmeshed in its bitterest war. This paper delves deeply into the attitudes of both the Americans and the Japanese that established the early foundations of World War II. Pearl Harbor was not simply a good-idea-at-the-time operation; it was a brew that percolated for decades fraught with misunderstandings, misinterpretations, and misguidance. The more we understand US/Japanese relations and naval philosophy during the many decades prior to Pearl Harbor, the more we can avoid such conflicts in the future. Hodge is an important addition to such understanding. New Interpretations is an excellent supplement to naval history written well, edited wonderfully, and rather very apt. This is a good read for anyone interested in history. Dr. Stephen D. Regan is a former professor and academic dean at Upper Iowa University. His passion is naval history and maritime affairs. He wrote the biography of Admiral Frank Jack Fletcher. 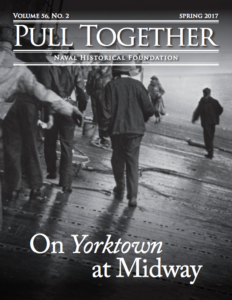 Buy New Interpretations in Naval History: Selected Papers from the Eighteenth McMullen Naval History Symposium now!